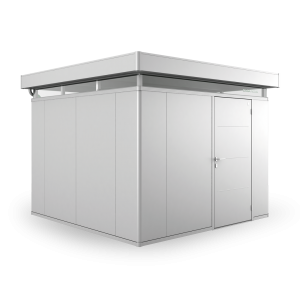 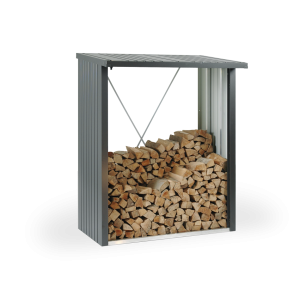 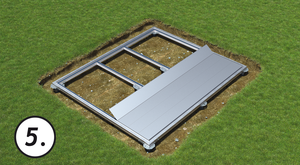 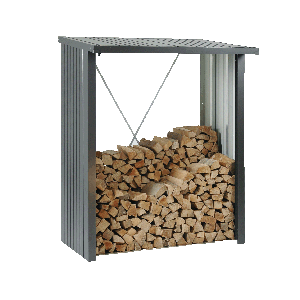 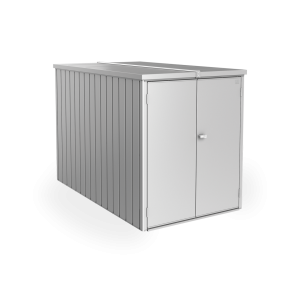 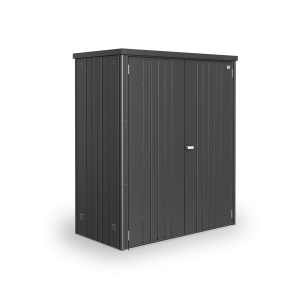 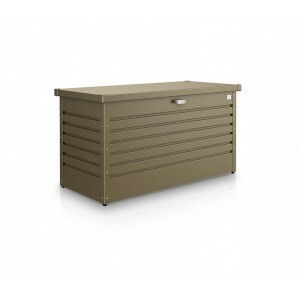 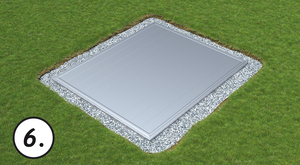 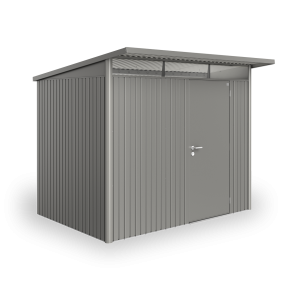 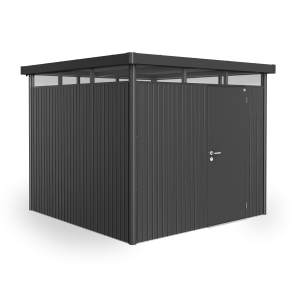 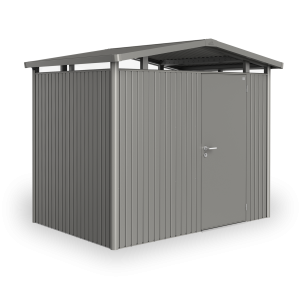 The Ground screw foundation can be installed on the spot and the assembly of your garden shed can immediately follow. 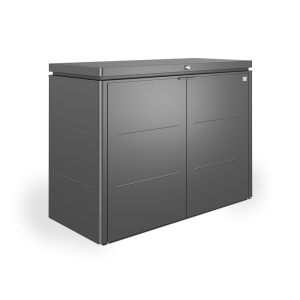 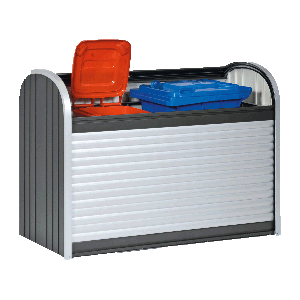 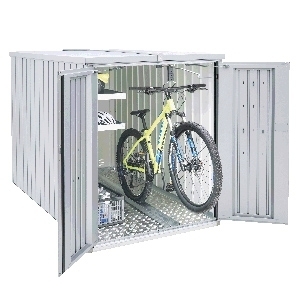 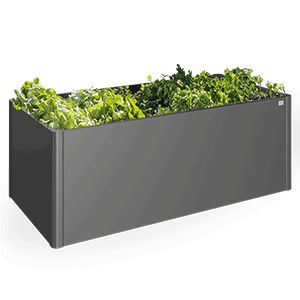 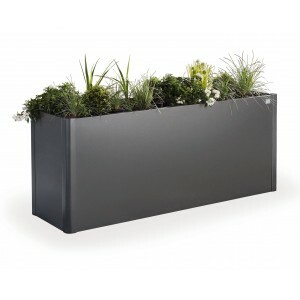 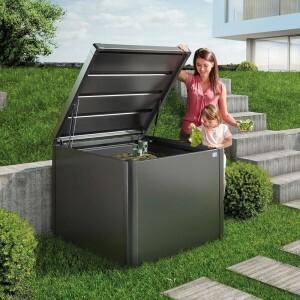 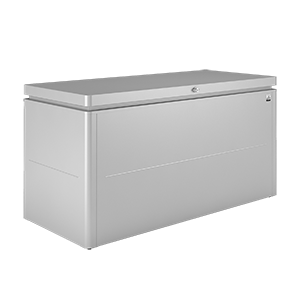 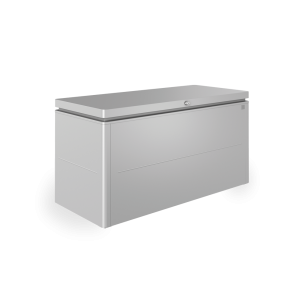 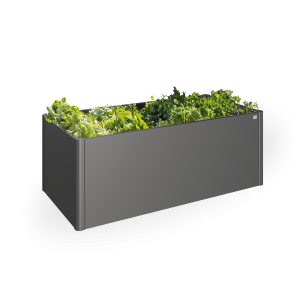 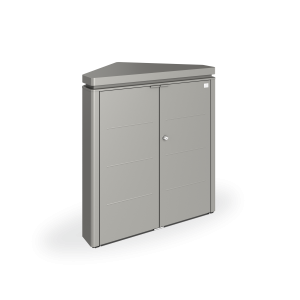 The innovative base consists of high-grade aluminium panels fitted in a robust frame mounted onto stable ground screws. 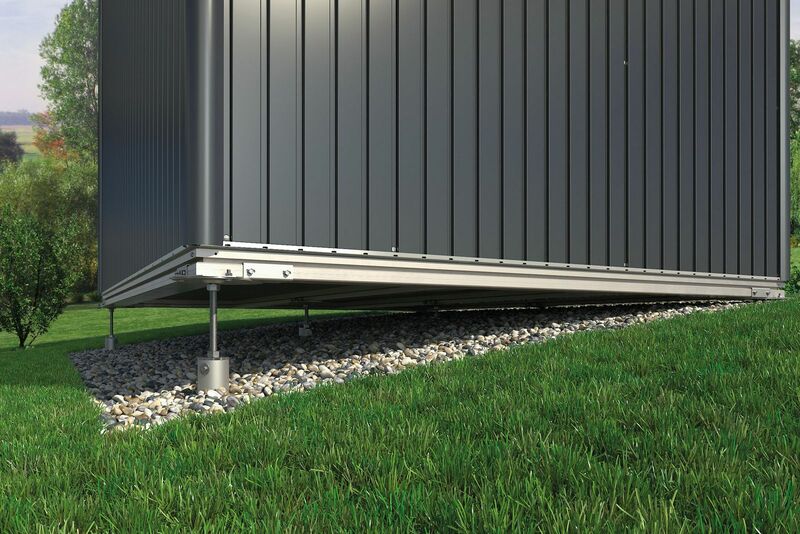 Additional adapters allow compensation for uneven ground and slope angles. 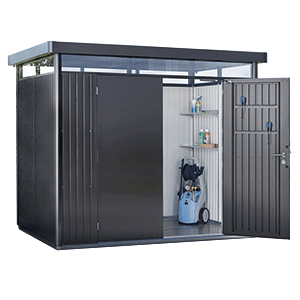 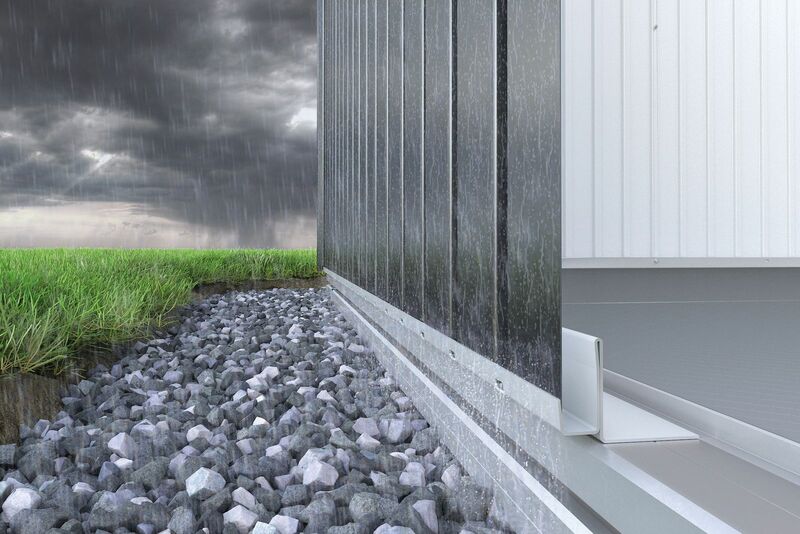 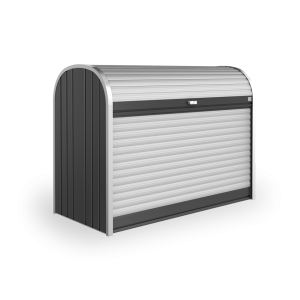 An integrated water barrier solves drainage problems perfectly and ensures no water enters the tool shed. 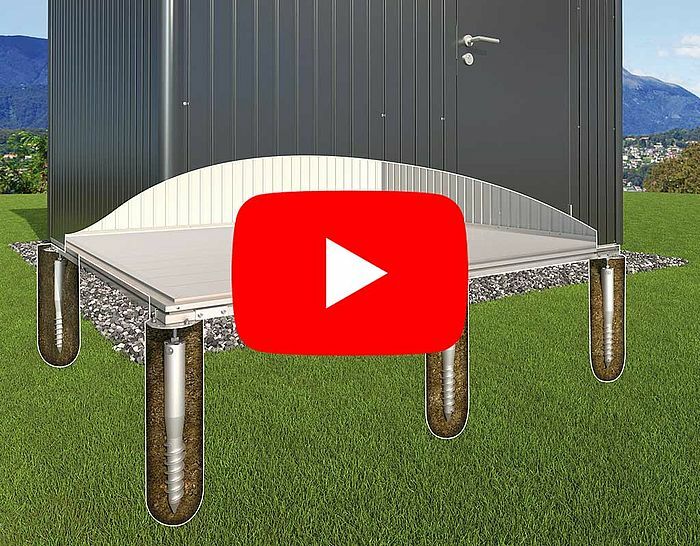 The interaction between our products, from the Ground screw foundation to the Biohort shed situated upon it, combine to create a perfect uniform package. If you use the ground-screw foundation also for your side canopy stayers, pay close attention to the precise, vertical positioning of the screws in the middle of the stayer. 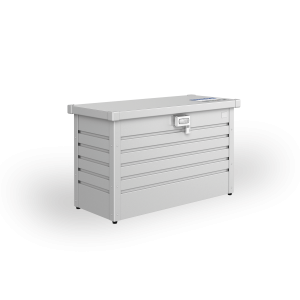 The additional tools required for assembly can be purchased from any good DIY shop; the drill bit can also be bought directly from Biohort. If you do not wish to erect the Ground Screw Foundation yourself, our installation partners will be more than happy to provide their services. 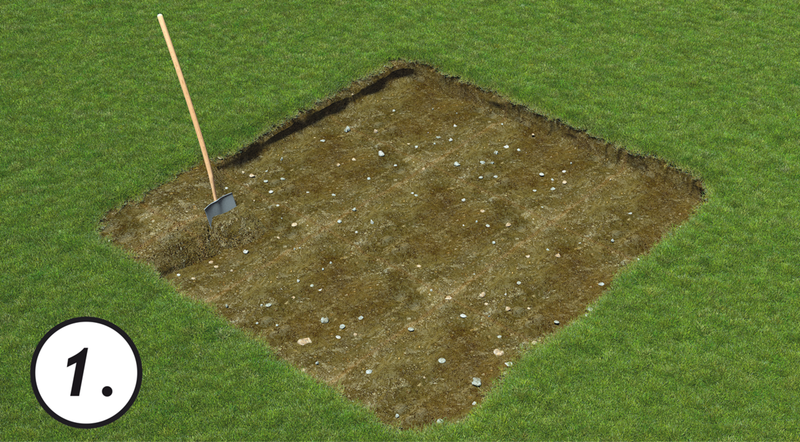 The foundation is now complete. 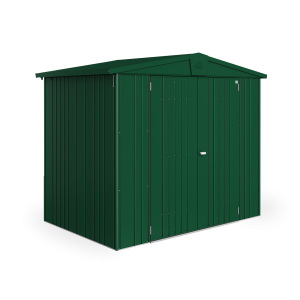 You can immediately begin with the erection of your garden shed! 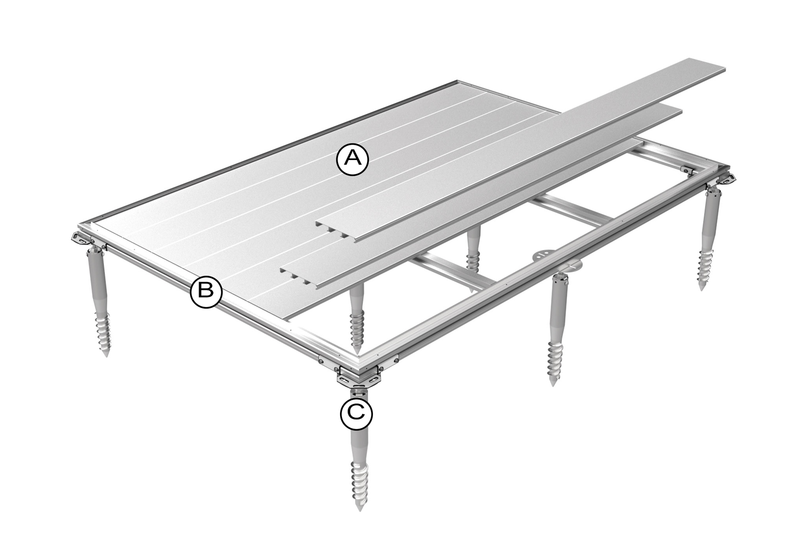 included in scope of delivery: Ground Screws, aluminium panels, frame, cross members, complete fastening material and special tool required for manually inserting the foundation screws in the ground.